Jefferson Payroll is one of Irelands leading payroll outsourcing companies. 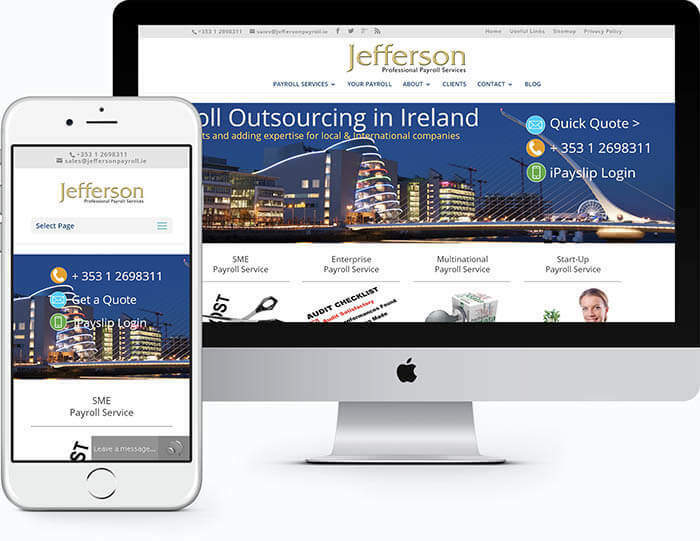 Targeting overseas multinationals as well as local SMEs, Jefferson Payroll were looking for a modern professional & responsive web design which clearly focused on the benefits of the service. A key element of the task was to ensure that the company’s pre-existing Google rankings were not adversely affected. "Philip and his team where a pleasure to work with on our website project. They came in to freshen up and modernise what was a dated and tired looking website by enhancing the visual and interactive experience for visitors.......the team were thorough and professional and I have no hesitation in recommending them."